A list for Cinco de Mayo 2013! The Best Mexican Restaurants in Columbus for Cinco de Mayo 2013. Maybe they aren’t the best in Columbus but they are my favorite Mexican restaurants, now. Best for me because they are relatively close to where I work, live and play. The Mexican restaurants here are in order, my order. There’s only four Columbus Mexican restaurants there. I want to do my “5 Best Mexican Restaurants for Cinco de Mayo 2013″ or my favorites anyway but it gets complex after number four in the list, the El Acapulco at Crosswoods. It’s not for a lack of trying. I’ve eaten at many Mexican restaurants I like in Columbus. Everyone loves El Vaquero. I like the El Vaquero on Riverside Drive best of all El Vaquero restaurants in central Ohio but never get there anymore. 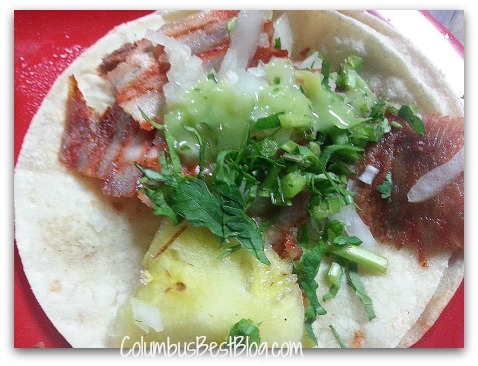 I ate at the El Vaquero on Olentangy River Road in February… it was good. I live and work closest to the El Vaquero at Polaris but have not been there in years. There is a second El Acapulco on Polaris Parkway and I have not been there in years. I went to a holiday get together at Senor Antonios Mexicano Restaurante & Cantina in Lewis Center in December. It was my first time at that restaurant in years. I tried the new Chile Verde Cafe in the Polaris area recently. Chile Verde Cafe and it’s twin at Carriage Place on the corner of Sawmill and Bethel is New Mexican cuisine? Celebrating Cinco de Mayo Friday, Saturday and Sunday is not out of the question for Mexican food lovers in 2013. May 5, 2013 is a Sunday. My four favorites Mexican restaurants are all on the north side of Columbus. 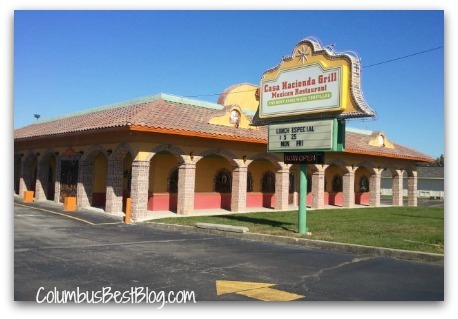 I only discovered Casa Hacienda Grill Mexican Restaurant opened on 161 east of I-71 last October. I have only been to Casa Hacienda Grill a few times but used to eat at La Hacienda Real on Sinclair before that restaurant closed. Inside the restaurant at 1264 E. Dublin Granville Road, Columbus, Ohio 43229 you can tell from all the ceramic tile that it is the same restaurant as my old favorite La Hacienda Real on Sinclair. When the server delivers the complementary tortilla chips and accompaniments you know Casa Hacienda Grill is the same restaurant. 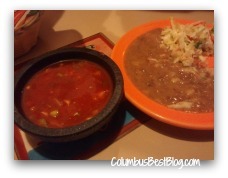 In addition to salsa the restaurant provides a plate of refried beans and cabbage for the chips. I usually eat tacos (I like ‘em authentic), enchiladas, tamales or a chile relleno at any Mexican restaurant. I am NOT a burrito eater… eating at the chains I will eat a “naked” burrito. Please leave a comment with your favorite Mexican restaurant in Columbus, or four or five. Or even the BEST Mexican restaurant in central Ohio, if you know what the best Mexican restaurant in Columbus is. AZTECA Grill on Sawmill, where Iacono’s used to be…. Thanks for the recommendation Julana, I have heard of Azteca but I did not know it was there. I don’t eat pizza so I did not realize the Iacono’s was not still open on Sawmill. That was my favorite place for pizza back in my pizza eating days. Next post: How Cool for Columbus Farmer’s Markets?